Gee Stewart is a young artist and entrepreneur with a mission. She wants to build awareness of young local creatives. Gee dabbles in a variety of media – painting, cartooning, illustration, animation, and more. She exhibits and sells her work at various craft markets and online. “I discovered that there so much young talent here in Cape Breton, that it inspired me to want to help share their work. Creativity needs to be shared to be fully appreciated,” said Gee. 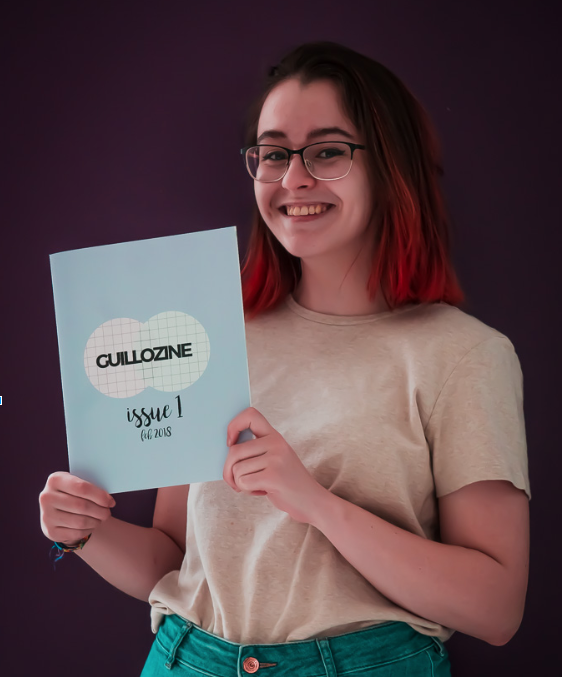 Gee launched a specialty magazine called Guillozine to publish stories of creators locally and around the world. The 32-page magazine is available online and in print and features photos, images, and stories of people being creative through art, film, sculpture, and other media. Gee, who uses the pseudonym geecomics for her work, is considering studying at the Nova Scotia College of Art and Design in Halifax when she graduates from Riverview High School in 2019.